This is a silly movie, and if you’re in a silly mood and easily go along with most comedies you see, you might like it. It comes across first as a TV sit-com, then moves into what is supposed to be a thriller, then finally devolves into the absurd. I think the writer Mark Perez intended for the script to move smoothly between couples’ conversations, comedy, and life-threatening chills. But the conversations come across as hackneyed, the comedy not funny (unless you like the kind that is catty, mean, or demeaning), and the thriller parts become anti-climactic “gotcha” moments. And the insertion of serious talks about such things as having a baby, and infidelity in the midst of a crisis is disjointedly unreal. 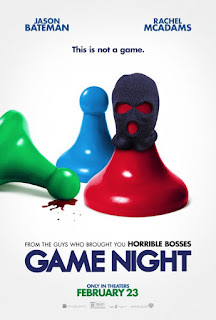 Perhaps some will see Game Night as a spoof on mystery/horror films, but I imagine most of these people will find most of the elements in the plot contrived. The main couple, Annie (McAdams) and Max (Bateman), are nuts about gaming and have an entertaining competitiveness with each other and when playing with their friends. The film weaves in stories about all their relationships that are funny but have a sharp edge of discomfort and go on for too long. Much of the interaction among all the couples is trying to one-up each other (which some laugh at, but I find not very funny). One of the “serious” but intended comical elements is Max’s brother Brooks (Chandler) coming to visit. We’re told about the psychological issues between the two, which are, indeed, played out before us. We meet an egotistical “Hollywood” type who comes in flaunting his wealth and lording it over his brother. He takes over every scene he’s in and all are enthralled and impressed with him, much to the chagrin of Max, who puts up only mild resistance. One of Brooks’ ostentations is to invite Annie’s and Max’s friends to his house/mansion the next week, which is intended to be the game of all games. But there will be surprise after surprise (unless the viewer guesses each beforehand) intended to give the viewer a “what’s real? and “what’s the game”? kind of reaction. McAdams and Bateman do well with the material they have to work with, and come across as people one would like to know more about beyond the clichés. But the real star is Jesse Plemons playing the nerd-like neighbor Gary, who is a lonely policeman longing to be included in the games his neighbors play. Too bad the filmmakers didn’t end the film with his coup de grace. That would have given their film a meaning we could hold onto. Game Night has some things going for it, but mostly it is a waste of time. Gaming can be fun…until it gets mixed up in major crime. 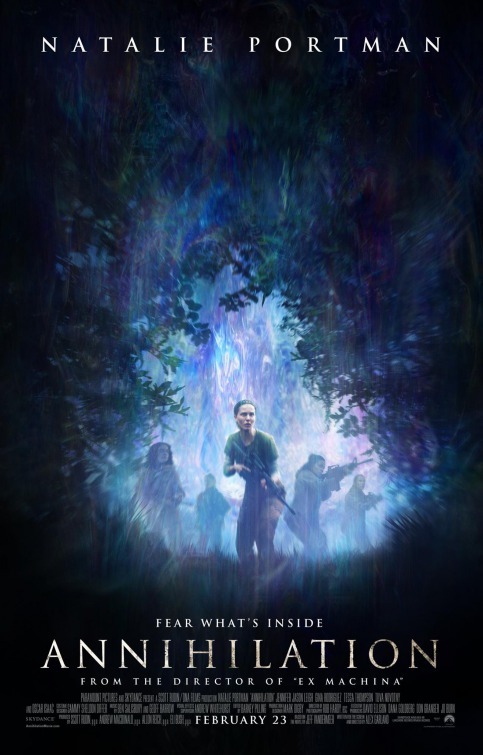 Think about mixing the surreal and mysterious with real human drama within a glorious visual spectacle, and you can envision Annihilation. Alex Garland has drawn on his previous experience with Ex Machina and plunged ahead with another futuristic presentation of humans confronting what may or may not be an alarming future. He has the ability to balance the fantastic with the real so that one can buy into his dramas. They seem otherworldly, yet something we can imagine really happening. Part of the success of his work is in giving clues from the beginning that will inform the viewer later in trying to explain what transpires later. We’re first confronted with a puzzling interrogation of biologist Lena (Portman) by a military person in a hazmat suit (Benedict Wong). He’s asking her who-what-when kinds of questions, the answer to which she says, “I don’t know” or “I can’t remember.” She appears to be a little dense, but this is one of the nicely misleading cues that Garland does so well. He does let us know she is a respected biologist at John Hopkins University. We soon see Lena’s missing husband Kane (Isaac) who appears suddenly after such a long absence she thinks he has died. Although we learn that he has been involved in a covert operation, he doesn’t have many answers and seems very different from his old self. But then abruptly he shows signs of a medical condition, which involves calling emergency services. More drama ensues, after which we see Lena volunteering to explore a new phenomenon that has occurred on earth called “the shimmer.” Her team is led by psychologist Dr. Ventress (Leigh), and includes three other female scientists. They will follow in the steps of other military people who have explored the region, but never came back, except for one. This is a group of very brave women (nice to see!) who have no ties at home (“We’re all damaged goods here”), and for various reasons want to find a scientific explanation for The Shimmer, which “swallowed up” the military’s Southern Reach. This is where the real adventure begins, with the expected strains on loyalty and mental balance, in confronting threats never before imagined. It was especially gratifying to see a female character (Lena) having such deep curiosity, determination, and clear-headedness that she is able to confront whatever is before her, without becoming unhinged or allowing images from the past to distract her. Finally, the electrically charged ending leaves the viewer with possibilities rather than a neat package. This is a film not to miss for its thrills, human drama, and eloquently presented futuristic possibilities. Talk about a rising star; writer/director Ryan Coogler has made big splashes in just a few years with his award-nominated and winning Fruitvale Station (2013) and Creed (2015), and now stands to earn much high praise for Black Panther. He is lauded for delivering productions with all of the elements of notable films—entertainment, fantasy, emotionality, and meaning while weaving in topical issues of race, gender, and government. All of those qualities emerge in Black Panther, a mythologically-informed story about destiny, rightful heirship, sibling rivalry, and legacy. But current politically sensitive issues are present as well, such as state protectionism vs. participation in world affairs, treason vs. loyalty, and methods for achieving power/respect in the world. T’Challa (Boseman) is the heir-apparent for the kingship (in the form of Black Panther) of Wakanda, a fictional country somewhere in Africa, notable for its natural resource metal of vibranium, which allows the country to develop uncommon technological achievements, while passing themselves off as a third world country (a protectionist endeavor). 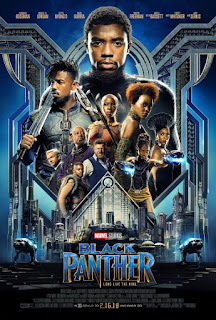 Then the intrigue begins, when Wakandan prince N’Jobu (Brown) decides that Wakanda should share its knowledge to be of service to the rest of the world, which is further complicated by the surprise appearance of an American rival (Jordan) to the Wakanda throne who is accompanied by a notorious arms dealer (Serkis). Battles ensue, which test the loyalty of some and throw T’Challa’s right to the throne in doubt. Chadwick Boseman as Black Panther exemplifies a strong leader from a distinct culture who eschews war and is committed to truth and right. Michael B. Jordan exemplifies a worthy opponent who, brought up in the American way of thinking, is convinced that power/might is the only way to assure that “good” things happen. I particularly loved the strong women surrounding the Black Panther, who represented loving, civic-minded mother (Bassett), technologically savvy sister Shura (Wright), trusted secret service head Okoye (Gurira), and cagy spy and love interest Nakia (Nyong’o). It’s so refreshing to see women in traditionally male roles, especially Nakia exerting a humanitarian voice and Shura a technology guru. Boseman as the Black Panther effortlessly keeps real the fine lines between statesman, warrior and pacifist. Michael B. Jordan chews up his role as the African American brought up in the U.S. with a historic heritage he doesn’t quite understand. Daniel Kaluuya is ever subtle but strong in his role as W’Kabi, torn between two different regimes. Andy Serkis—long overdue for an acting award—plays a deliciously evil arms dealer. Martin Freeman of the Hobbit’s Bilgo Baggins fame is extraordinary as an American CIA agent (excellent casting!). And, finally, Forest Whitaker ably plays the reverential priest Zuri who must swear in new kings of Wakanda. This is certainly a film that can be viewed numerous times for its complexities of plot and message and its performances by the principal players. 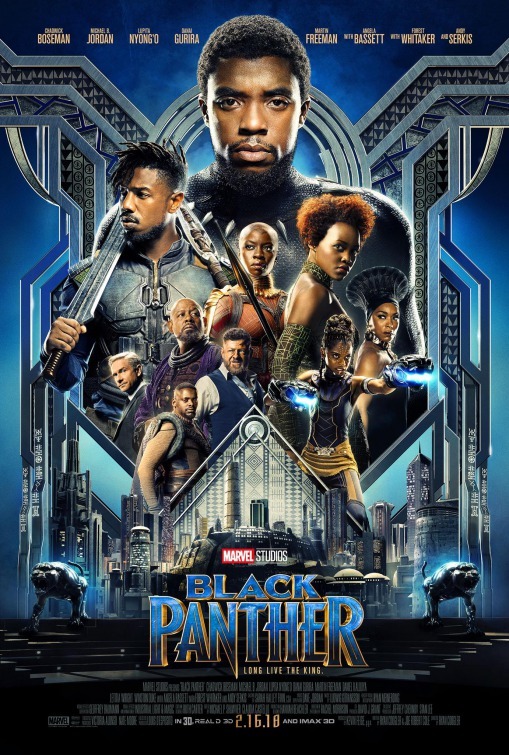 Black male and female superheroes abound in this unusual action movie touching on race, destiny, thrones, and legacy, making an exciting addition to the action/fantasy genre. Nick Park and the Aardman Animation Studios bring us another enchanted story that entertains while it inspires hope and the achievement of dreams. 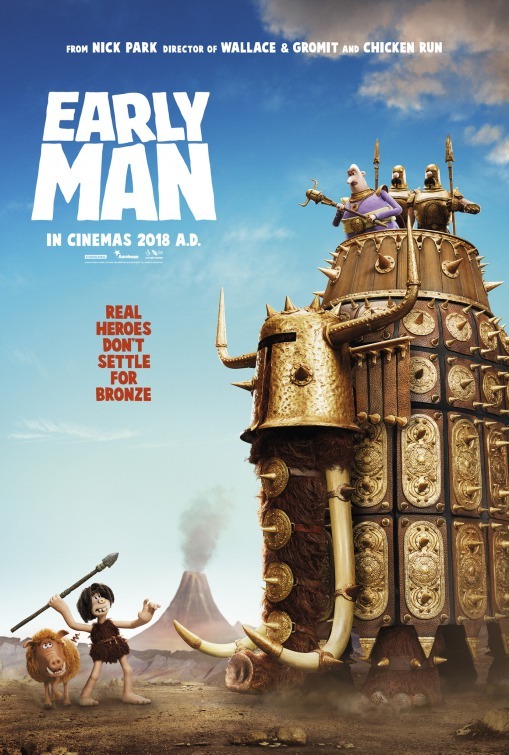 Dug (Redmayne) is an aspiring young man who tries to convince Bobnar (Spall), chief of the cavemen, that they should go beyond being a tribe of rabbit hunters and start searching for big mammoths instead. Unrealistic expectations, perhaps? Bobnar indulges him by saying he will think about it, but in the meantime, Lord Nooth (Hiddleston), whose tribe has advanced to the Bronze Age and are deep into mining, is driving them out of their precious valley to get to the rich ore deposits lying beneath it. Then an element of fanciful story telling is inserted into the drama. Dug has found cave drawings that indicate that their ancestors played some kind of game with a ball similar to one he has stumbled upon near the mines. (The “Bronzios” are the champion football team at the time). Dug and his friends kick the ball around playfully for a time, but through strange coincidences they encounter someone who actually knows about the Bronze Age people’s game of football (soccer to Americans). Who is this someone? She is a girl(!) named Goona (Williams) who is barred from her people’s team because she is a girl. But she is passionate about the sport and spends many hours watching the game and playing it in her imagination. When she sees an opportunity to coach the cavemen and transform them into a disciplined team, she jumps at the chance to get back at the Bronzios who were never very nice to her. 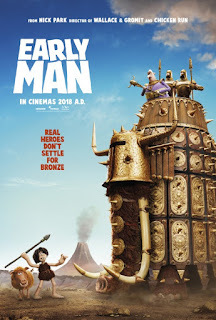 This movie is up to the quality of the famed “Wallace & Gromit” TV series and video games and The Curse of the Were-Rabbit and Chicken Run feature films, as well as other awarded productions by the same filmmakers. It is beautifully animated and the story is full of humor, clever puns, and substance (story by Park, screenplay by Mark Burton and James Higginson. An added bonus is that the story incorporates critical roles played by females—an issue close to our current political preoccupations. The voices of Hiddleston, Williams, Redmayne, Spall, Brydon, Margolyes, and even Director Park himself fit perfectly with their characters. From Nick Park and Aardman Animations fans, a new release à la “Wallace & Gromit”, The Curse of the Were Rabbit, and Chicken Run. It’s a long time before you get on the train to Paris, although there are a few introductory scenes about the terror on the train. But first, you must endure the heroes’ background story: acting-out kids in school with lousy teachers and principal and witness how poorly equipped a school can be in guiding children with learning disabilities or other minor problems that could have easily been remedied with behavioral methods. If a student stares out the window and has difficulty focusing, a teacher’s answer immediately is medication without having the child evaluated by a professional with that specialty. The three friends are eventually split up (Anthony going to another school and Alek being sent to Oregon to live with his father), but maintain a close friendship. Despite his history of a reading disability and difficulty following instructions, Spencer Stone manages to qualify for military service (airman first class in the U.S. Air Force) and realize his dream of being in the military. The other two forge different careers, but they remain fast friends, and reunite in young adulthood to take a brief sojourn through Europe. 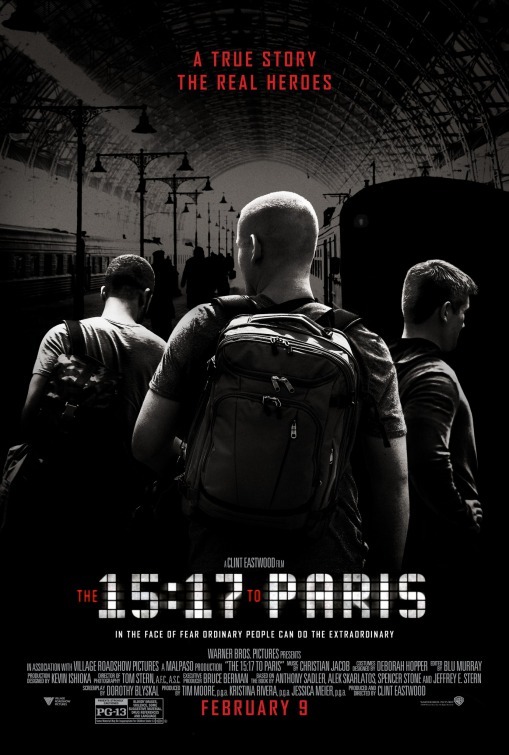 After partying their way through Rome and Venice, they decide to take the train to Paris. But the thrust of this story is that while onboard, the three heroically foil a terrorist attack with their quick thinking and physical preparedness. Although Director Clint Eastwood’s aim of putting these men’s story on screen (and having them act out their roles as adults) is an interesting one, the execution of the project falls short for a number of reasons, primarily because the men are not actors, and it shows. Secondly, screenwriter Dorothy Blyskal’s dialog is wooden with hackneyed phrases abounding. Third, Blu Murray’s editing uses the current fad of jerking the viewer back and forth between past and present. It seems like most of Eastwood’s cast and crew are relatively inexperienced, and needed more guidance on his part. Perhaps he is reflective of and buying into the recent trend of skepticism toward and discounting of professional experience and expertise, even though he clearly doesn’t fit into that category (e.g., his accolades for American Sniper, Letters from Iwo Jima, Million Dollar Baby, Mystic River, and Unforgiven). Not only the actors, but the writer, editor, and other staff working on the film trend toward the inexperienced. Sadler, Skarlatos, and Stone wrote a memoir about the experience (with Jeffrey E. Stern) on which the film is based; but I have an idea the part about their early years in school is penned and configured by the filmmakers, perhaps from the trio’s personal accounts or from their own perceptions of school. This part of the film is the most tedious; toward the end, when the drama occurs on the train, the movie picks up considerably. 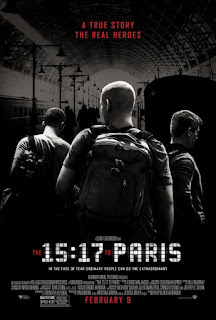 Although the idea behind 15:17 to Paris is intriguing, the execution falls far short of its promise. This work of horror and intrigue, co-written with Tom Vaughan by Directors Michael and Peter Spierig (identical twins born in Germany and working in Australia), does what such a picture is supposed to do—keep us on the edge of our seats, play into common fears about old mansions, and pull us into the world of spirits and ghosts as it tries to convince the character, Dr. Price (Clarke), that the spirits/ghosts are there for a cause and a purpose. Eric Price, a staunch empiricist, is quite prepared to consider Sarah delusional, even though eerie things begin to occur immediately after he arrives at the Winchester mansion—glimpses of strange figures flitting by, the bells tolling precisely at 12:00 every night, and of course unexplained noises at all times of day. Once, when he goes to investigate, he peers through a door slightly ajar to see Sarah in a trance gazing upward, and sketching instructions for re-building that someone seems to be telepathically sending her. Sarah has her trusted niece Marion (Snook) living in the house with her young son Henry (Scicluna-O’Prey), and he shows strange and even dangerous behaviors from time to time. The question arises about whether he is cursed as a Winchester or simply showing signs of grief over the loss of his father. As time goes on, the weirdness increases to a point that it looks like everyone and everything will be destroyed. I think Winchester succeeds in what it is attempting to do in its genre, and beyond this, astute observations are made from time to time that give it more depth, such as making the point that sometimes real (i.e., personal) experience is more valuable than professional training. It especially highlights the motivations that can result from guilt—Mrs. Winchester’s for the damage her gun company has done, and Price’s for his role in his deceased wife’s demise. Just importantly, it shows how each is able to assuage guilt through action and/or taking a different perspective. Helen Mirren’s artful portrayal of a woman with spirit, determination, self-confidence, and a little quirkiness is persuasive in drawing us into her world, just the way she draws in Clarke’s Price. And he skillfully transitions from a grieving skeptic without a purpose in life to someone drawn in to more meaningful endeavors. Snook, as the intensely loyal but thoughtful niece shows the bind her character gets into when she gets put between Winchester and Price. Young Scicluna-O'Prey as Henry is alternately endearing and frightening, depending on whether he is a normal boy or caught up in a spirit’s machination. I interviewed the Spierigs at the South by Southwest Film Festival in 2014 where their film Predestination, based on a Robert Heinlein story, premiered. It has a complex plot, full of intrigue and social issues and, like this film, shows their creative thinking merging with social conscientiousness. I was impressed with them then, and regard them as filmmakers who will advance the artfulness and thoughtfulness of films for years to come. 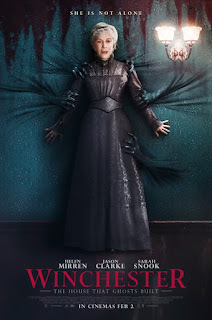 An intriguing horror film with a wonderful blend of history, biography, and fantasy. Bilal is promoted as “a new breed of hero”, but this seems to be little different from a host of other such stories, in that Bilal undergoes tragedies from the time he is a child, endures them reasonably well, maintains his rebellious determination for freedom, recognizes words of wisdom and generosity in a strong Mohammed-like figure who buys him from his evil master, and manages with his comrades—particularly his guide Hamza (Mitchell)—to achieve civic and religious goals. The animated story from the UAE is based on ancient Muslim lore during the time that wealthy merchants relegated most of the poor masses to slavery. Viewers with young children should be aware that the film includes a bloody war. The thrust of the story lies in its emphasis on freedom, freedom that everyone deserves regardless of appearance or ethnic origin. This comes through, albeit sometimes a bit preachy. The story maintains the belief that there is a god who oversees the lives of men and expects them to adhere to his teachings about kindness and social justice, as contrasted with anger and vengeance toward others. The film is marketed for middle age children and above, but I wonder how many will get their message. In the screening, there were cheers when the bad guy was undone—evidence to me that they missed the import of the film: Use a stick rather than a sword whenever possible. The film is from Saudi Arabia, animated by Barajoun Entertainment, and filmed in Dubai. Influences of a Middle Eastern perspective are clearly apparent, and I understand that the directors (Khurram H. Alari and Ayman Jamal), and particularly Jamal, wished to present a Muslim point of view that is inclusive of all people in its egalitarianism. The animation struck me as quaint in comparison with what I am accustomed to seeing, although I don’t know exactly why. I think maybe because the figures were more robotic-appearing than human-like. McShayne voicing the haughty slave owner Umayya was just right in showing the sense of entitlement of the ruling class, and his well-taught son Safwan (Ryan and Wingert) took what he said to heart, implementing it whenever possible, being particularly focused on Bilal (voiced by Latimore and Akinnuoye-Agbaje). Voice acting of the cast is very good in general. There seem to be internal contradictions in the story (and perhaps it is true of most religions) between the messages of tolerance and the hostilities expressed among the characters. Although Bilal comes to believe that the stick should be used whenever possible over the sword, killing and war (in which he participates) seem to be condoned. 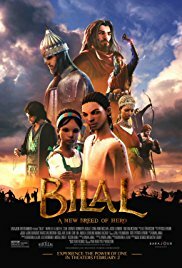 Although marketed as “a new breed of hero”, Bilal closely resembles heroes in many cultures: undergoing trials, maturing under the guidance of a wise guide, and transforming into a beloved leader. I am still waiting (how many years?) for filmmakers to portray the cancer experience in a realistic way. For some reason (I have no idea why), they tend to romanticize it. Beyond that, they often reinforce ways of coping that don’t help anyone (e.g., refusing treatment when first diagnosed, not informing family. That being said, my comments are as follows. The film is loosely based on the real life of Gloria Grahame (played here by Annette Bening in a fine performance), an American actress in the ‘40s and ‘50s who was known for her performances in It’s a Wonderful Life, The Bad and the Beautiful, Sudden Fear, Human Desire, and Oklahoma! This film covers the period when her career is waning and she has concerns about her looks. Her path crosses that of Peter Turner (Bell), a much younger man who becomes smitten with her. They meet at his parents’ boarding house and her room is next to his. Difference in age is not an important factor for him, and he adores her. Gloria is the type of person who has always been adored, including by her mother (Redgrave), so she has a certain amount of self-entitlement and expectation that people around her will attend to her needs. It’s interesting that when she becomes very ill, she doesn’t want her family to be informed. Instead, she prefers to be cared for by Peter and his family, with whom she has become very close, perhaps because they are a more loving, helpful group than her own family. We don’t see her four children, except her son, briefly, at the end. There is a cameo of her mother played by Vanessa Redgrave and her sister (Frances Barber). It would have been of value to know more about Gloria’s background and why she would prefer the company of her boyfriend’s family over hers, and more about what happened to her career. 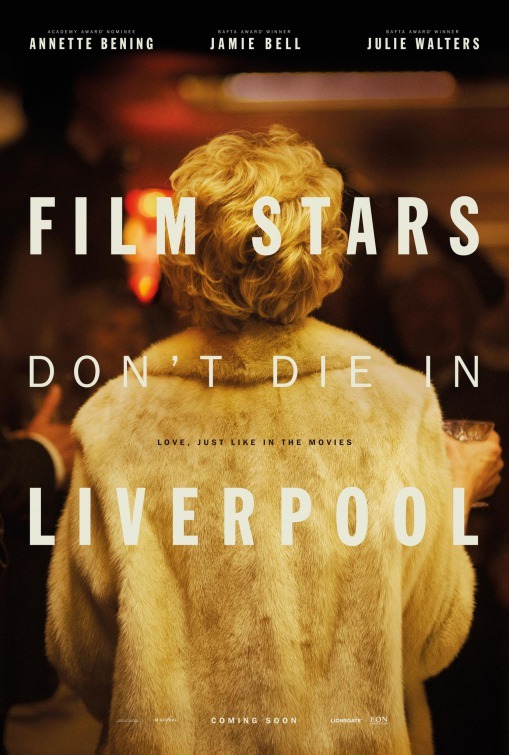 The film, based on a memoir by the younger co-star, Peter Turner, is directed by Paul McGuigan. It’s another case where the filmmakers choose to jump back and forth in time—which I’ve come to despise—and which makes it difficult to follow the stages of their relationship and the illness. Both Annette Bening and Jamie Bell deliver fine acting performances, and there is believable chemistry between them. Vanessa Redgrave is stellar in her cameo appearance as Grahame’s mother, quoting Shakespeare while sitting beside her snippy other daughter played by Frances Barber. Julie Walters as Turner’s mother exudes her usual warmth and wit. A famous aging film star on the decline captures the interest of a much younger man, and they make the most of their time together.